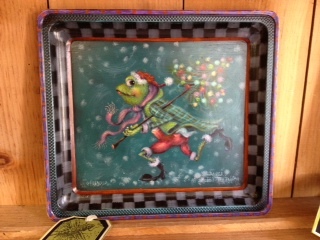 This design by Bobbie T. is painted on a 9 x 10 metal tray. The price is $225.00 + shipping and handling. Shipping in the USA and foreign countries is by USPS.